Hey Friends! Hope you're enjoying your week so far. Today's post is dedicated to friendship. We are so blessed and grateful for the many dear friends in our life. It has been so wonderful to see how our friendships have evolved, grown, changed, and brought so much joy to our life. We're still so fortunate to have many dear friends from our childhood and university years. These bonds will forever remain strong in our lives. But in addition to that, it has been so amazing for us to make friends that we, as a couple, have thoroughly enjoyed. To find soulmates (times two) is a special thing and I truly believe our lives are that much richer for it. Among the wonderful people that fill our lives with joy everyday, I've also been so blessed to meet such an incredible, supportive, and creative group of women (and men) in this fabulous papercrafting community - both in person and via social media. I remember my first venture into blogland and my first-ever comment and how elated I was that someone, out there, wanted to take the time to say hi, share kind thoughts and encouragement, and build a lasting friendship with me - a complete stranger for all they knew! The support and love I've felt as a part of this community has been nothing short of spectacular and I want to thank each and every one of my dear friends - for visiting, commenting, sharing, caring, and inspiring me in this incredible journey. Today's card perfectly captures my thoughts and how beautiful our life is because of all the special people that fill it. I dedicate this card to all of our very dear friends, all of my crafty friends and readers, past and present, and all of the future friendships to come! Ok, now that the sapfest is over (sorry about that! 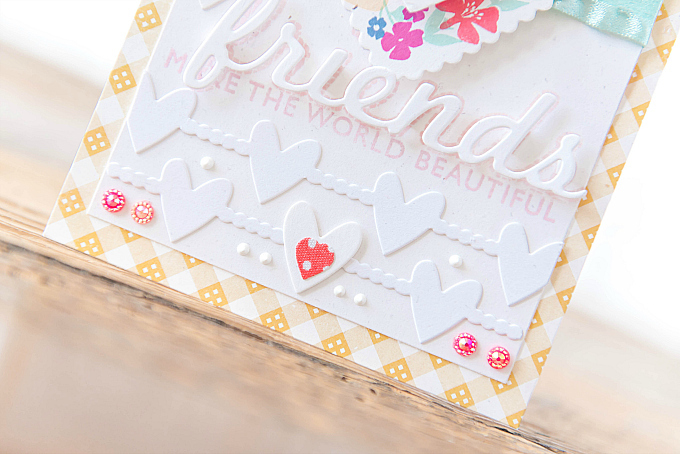 ), I want to share how I made this card and how much I loved playing with all the dies against a simple backdrop. I was inspired by the diecut challenge over on SB.com so I thought I'd give my dies a fun spin with a whole lot of dimension. I started the card with a pretty gingham yellow pattern, followed by a Rustic White card base. For the focal piece, I used PTI's Limitless Layers: Hearts and Heart Prints dies to cut out two sweet hearts. 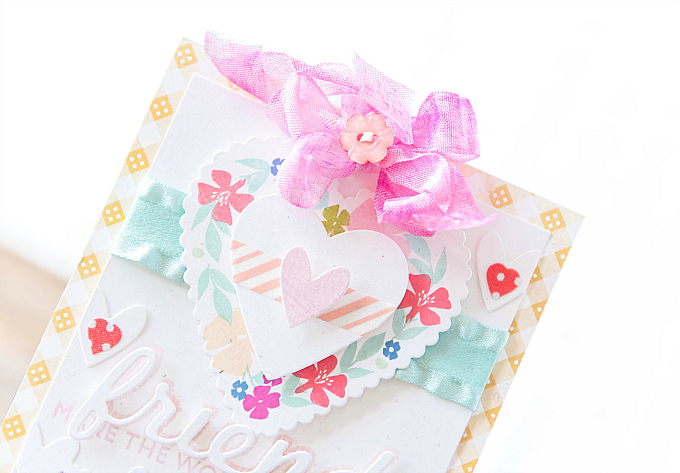 I stamped the larger scalloped heart with a pretty floral wreath from Wplus9, using some sweet Archival ink colors in Pale Ochre, Rose Madder, Cactus Flower, Viridian, and PTI ink in Blueberry Sky and Berry Sorbet. I added the smaller heart to the wreath, adhered with some dimensional dots, along with a bit of washi tape and a lilac heart, cut using PTI's Cover Plate: Hearts die. I added a little bit of velvet ribbon under the centerpiece, and a fuschia ribbon and coral Doodlebug button to the top of the card. I also added a couple of scattered die-cut hearts, white cardstock on white, with a dotted fabric heart diecuts for an accent. For the sentiment, I wanted to keep it simple, but dimensional, so I used PTI's Wonderful Words: Friends stamps to stamp the large friends sentiment and the sentiment below that in Lovely Lady ink. Then I added a die-cut of the same word over top, adding a bit of dimension with 3d dots, leaving a soft, and playful little border underneath. I really love the look of white-on-white details, so I repeated it again at the bottom of the card, with PTI"s Confetti Garlands die, accented by some liquid pearls, iridescent rhinestones and polka dotted fabric hearts. I haven't been able to find any more of the brightly colored ones, but my favorite color of these sweet rhinestones is this super, soft, delicate pink. I've long promised to share with you all, so friends, I am giving away some of these favorite little rhinestones as a tiny, wee thank you for your support and love. I have a multi-colored pack to share, that is full of all the yummy shades. To enter the giveaway, simply leave a comment below. I will a draw a random winner next week (so you have until May 16th to play along) and I'll update this blog post with the lucky winner. I'm so grateful for you all! p.s. Have you all had a chance to head over to Lea's blog to check out her fundraiser and the wonderful hop happening? I hope you'll go check it out and read about her amazing card drive and fundraiser. What a lovely post Ivana. 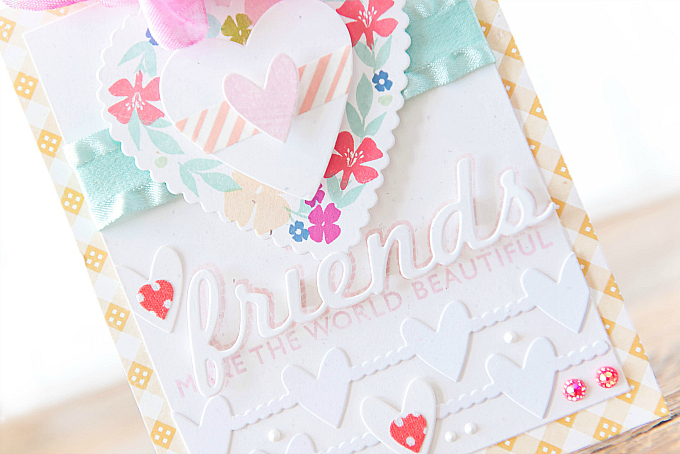 This paper crafting/blogging community is filled with so many wonderful people. That list includes you! 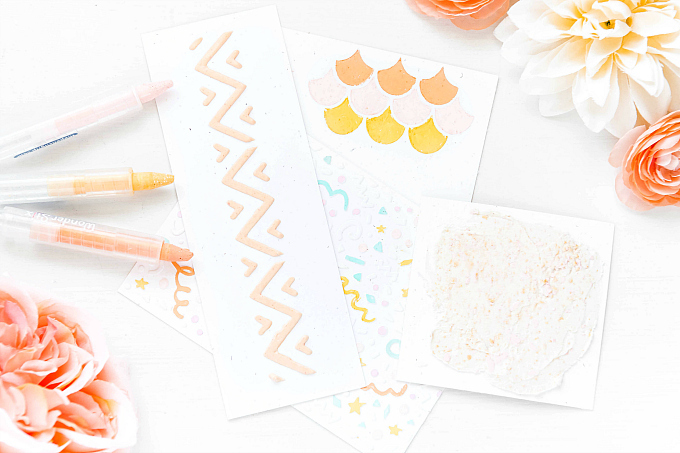 Your card is as lovely as your post. I like the repeated hearts in your design and as always, your pretty layers! Aw, Lisa, that is so very kind of you to say! Aren't we so lucky to have such an incredible community? Thank you so much for being such a huge part of that, and for your incredible support. I am so grateful for your friendship! You're amazing at putting layers together, Ivana! I love your bow, die cuts & all the beautiful elements! I agree with you about the joy of friendship including all my on-line crafting friends--happy you're now one of them! Your sweet comments make my day--thank you! I do enjoy your style! Thank you for sharing what you do. What a gorgeous and so heartwarming card Ivana! I share the same feeling about amazing friendships that have enriched my life through the crafting community and all the wonderful inspiration I have gotten from them. This is so beautiful and sweet! I love your layers!